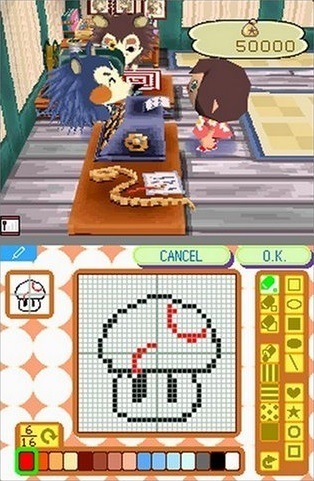 The second game in the Animal Crossing series is Animal Crossing: Wild World. Wild World released in 2005 for the Nintendo DS and is one of the top ten all time selling games for the console. In Wild World players live in a remote village that is populated by humanised animals. Gameplay involves a number of tasks and also incorporates events based on seasons and time of the day. Wi-Fi connectivity is also involved in the gameplay and lets players easily travel between other villagers. Customisation is at the core of the game with players being able to dress themselves in a huge number of clothes and accessories or design their own collections from scratch. Customisation also extends to housing and the village around the player which can be easily changed based on your preferences. The game is very open ended and lets players design their own objectives, most of which revolve around collecting the various items in the game world. Players can attempt to collect all fish species, bug species, fossils, paintings and presents just to name a few of the item hunts that Animal Crossing: Wild World has to offer. One of the most popular collection attempts is the golden tools (shovel, rod, net, axe, slingshot and watering can). Each of these tools is used in one of the activities in the game and comes with their own unique benefit. 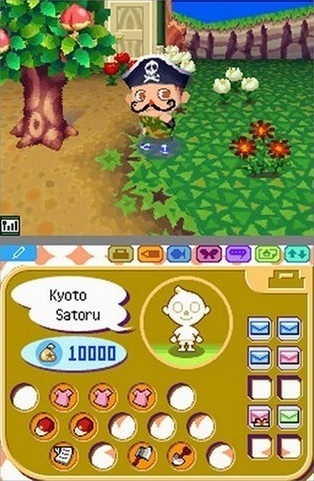 For example the Golden Shovel will give players the chance to grow a Money Tree. The game also has plenty of financial undertones making it a great game for younger players to learn financial fundamentals. The economy of the game is designed around Bells which players earn by selling things they find and then using it to buy tools or pay off the mortgage on their virtual house. Wild World added a lot to the original game and is a great option for both fans of the series or newcomers to the world of Animal Crossing. Continues the popular Animal Crossing series. Plenty of customisation to create a unique character and game world. Large numbers of items to hunt and collect. Lots of Wi-Fi options to connect you with other players. Watch the seasons change as you play.